CACI’s signature non-surgical face-lift is an advanced non-invasive facial, with twenty years medical research behind it. Microcurrent impulses will lift and tone the facial muscles and the neck area, whilst improving skin elasticity and reducing the appearance of fine lines and wrinkles. This gives a more youthful, fresh appearance and glow. Microdermabrasion is a cosmetic procedure in which the stratum corneum (dead outermost surface of the skin) is partially or completely removed by light abrasion. The removal of the dead skin cells reveals the softer more youthful looking skin cells underneath. The superficial abrasion of the skin also triggers the body’s own natural repair mechanism which triggers the production of new collagen and releases glycoaminoglycans in order to rehydrate and replenish the recently abraded area. This has a remarkable softening action on surface lines and wrinkles. 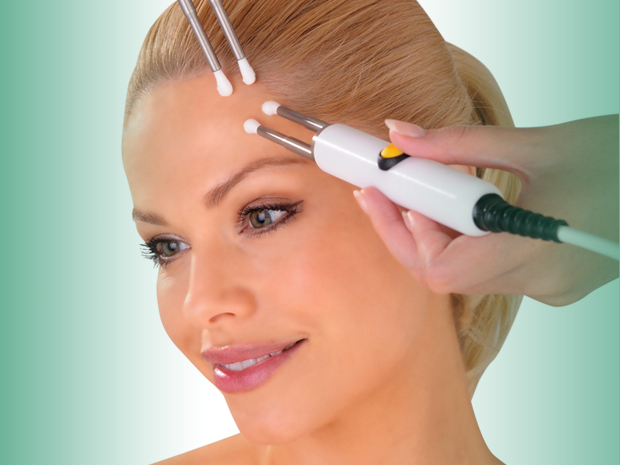 The Caci non-surgical facelift is the most advanced system available and is award winning with proven anti-ageing results.